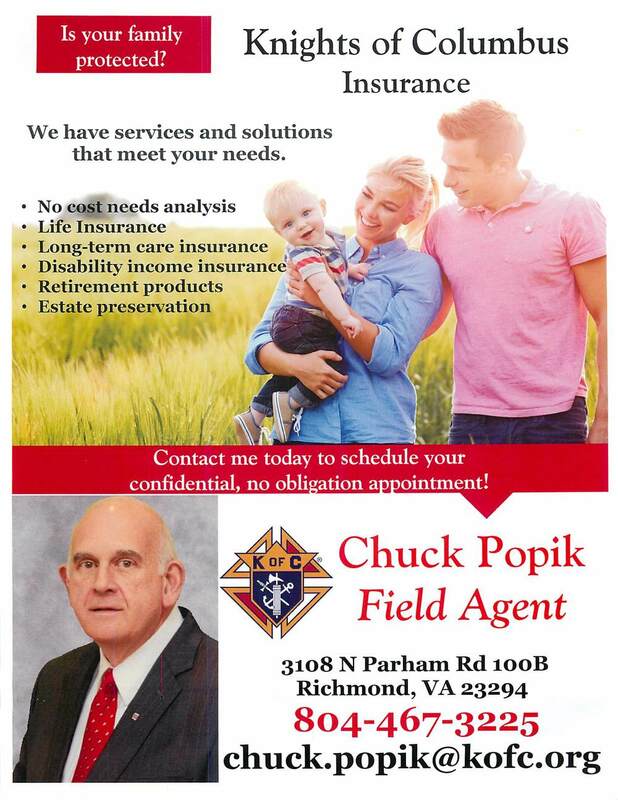 Contact Chuck Popik at 804.467.3225 or chuck.popik@kofc.org for immediate insurance assistance. When you’re looking for advice about insurance or financial matters in general, two words that should raise a red flag for you are “always” and “never”. ALWAYS buy this kind of life insurance-NEVER that kind. NEVER buy Long Term Care Insurance until you’re such and such age. ALWAYS invest in mutual funds instead of purchasing annuities. It’s marketing nonsense. These products are far too complex to make blanket statements about, especially because every family’s needs are different. So the next time you hear one of these “always” or “never” pronouncements about life insurance, long term care insurance, annuities or disability insurance, ask yourself whether the source of this information knows you and your family personally, and has your best interest at heart. Now that I’ve warned you against automatically believing “always” and “never” statements regarding financial matters, let me offer an exception: I will NEVER break the code of ethics I’ve signed, pledging to ALWAYS present facts honestly and accurately for the benefit of members’ decision-making. That’s part of the benefit of doing business with YOUR Knights of Columbus. Don’t just take our word for it. There is no more highly rated insurer in North America than the Knights of Columbus. A.M. Best has bestowed on us their highest rating (A++, Superior) for 35 consecutive years. Remember, in 2010, the Knights of Columbus gave more than $154 million to Catholic and other charitable causes. In these uncertain times, find comfort in an organization that leads the way in doing good for others while doing good for our own. Since 1882, we have been committed to protecting the financial futures of our Knights and their families. We do this by paying claims and dividends to our insured members. In 2010, we paid well over $442 million in death claims and other benefits, and more than $322 million in dividends to our policyholders. Even more impressive is the fact that in the past decade, the Knights of Columbus paid more than $3.2 billion in dividends to insured members.